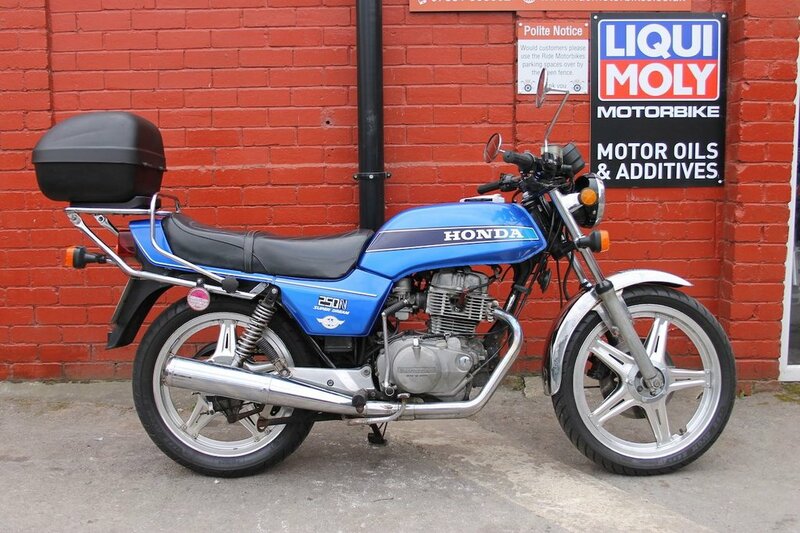 Here we have a 1979 Honda SuperDream in blue with 22K on the clock. Credit and Debit cards accepted. Uk Delivery is available. We have her owners manuals, V5 and keys but no service book. This bike would be great for someone to restore to its former glory. She is sold as seen, with no warranty due to her age. She runs and rides very well pulling nicely through all the gears, she has some age related marks as per the pictures but with a bit of TLC, she can come back to a nice standard. The MOT runs until June this year. The Superdream is a bike many had as their first machine back in the late 70's early 80's and has a cult following. She benefits from the top box which is easily removed. Ride is a friendly down to earth business with a passion for biking. Nationwide Delivery, HPI Clear, PX Welcome, Friendly Customer Service. 01535 658811 ***Check out our customer reviews on the website, at Ride Motorbikes Ltd Facebook page/Autotrader shop and google*** For more information about us, the bike and our stock please visit our website. The adventure starts here! Open 7 Days A Week. Ask us about Locks and Chains, Datatags, Helmets and Heated Grips. Stay warm and secure with Ride.